Hey Everyone! 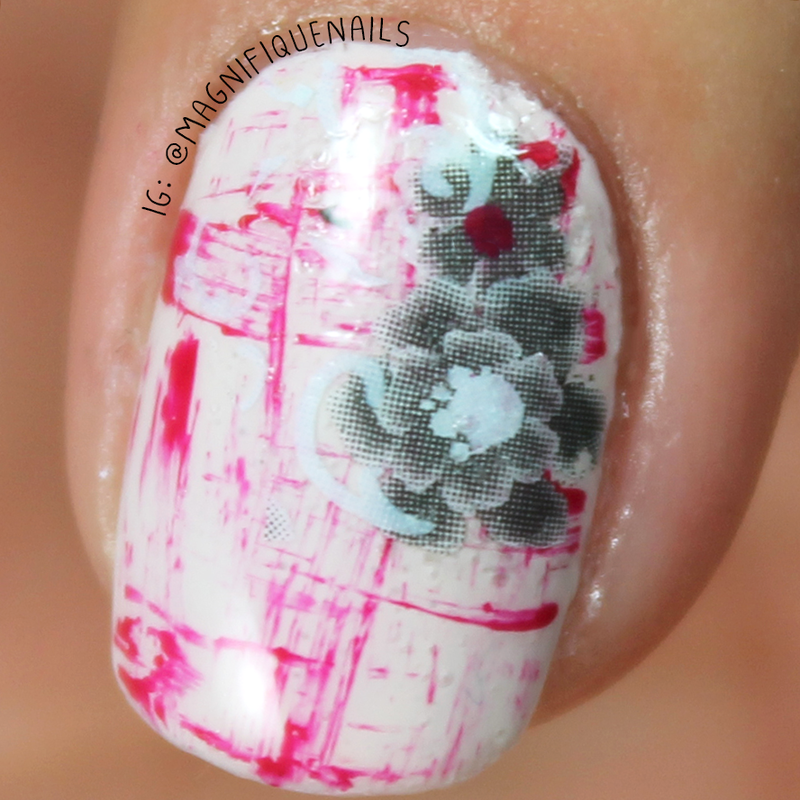 For today's post I have a unique floral nail art design for you guys. 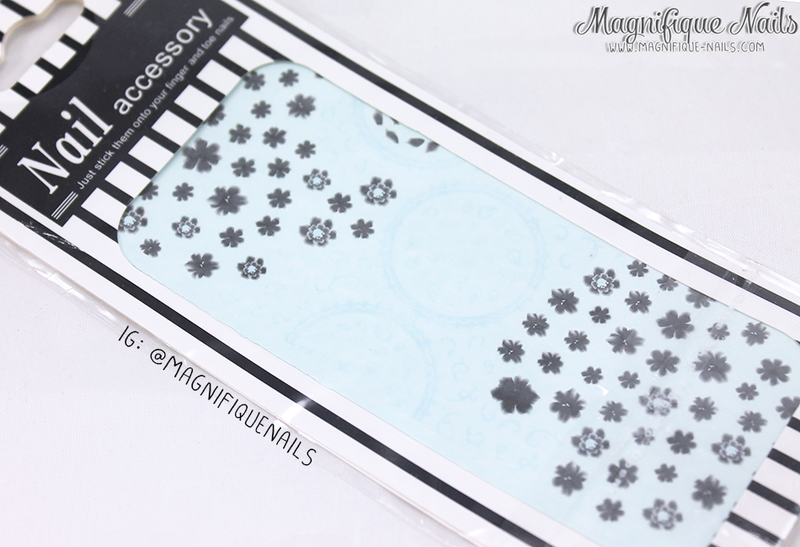 A few days ago I received these floral and lace water decals from Born Pretty Store. They have tons of amazing inexpensive nail art tools and accessories. Especially, new arrivals every other week, which is exciting to look through! 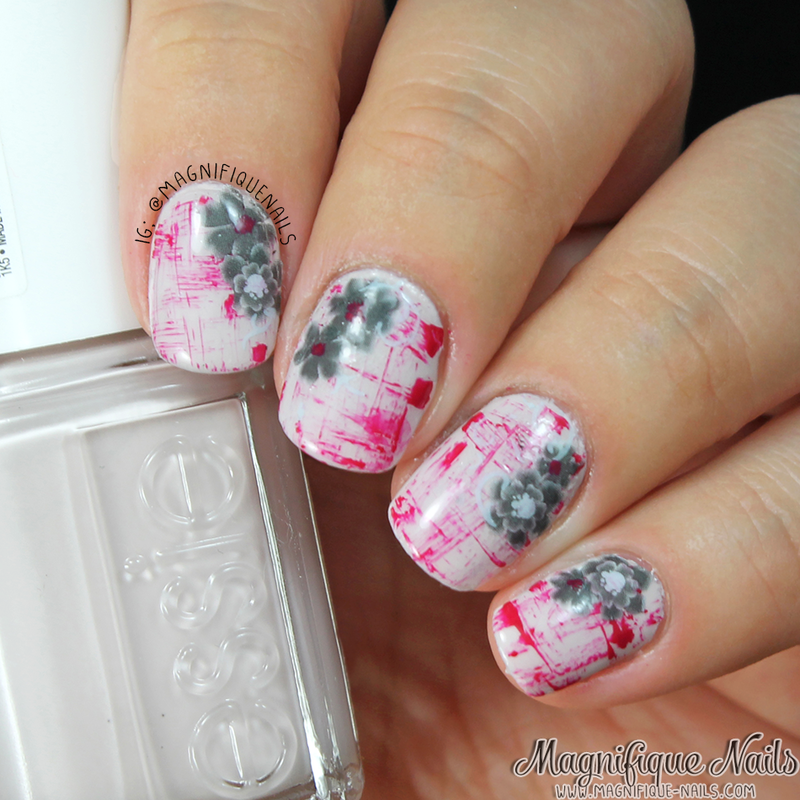 And lately I have been eying on their selection of water decals. While browsing for inspiration, I really had no idea what I wanted to do. As I was walking through the city I passed by tons of amazing art galleries, and remembered seeing an amazing painting by a new upcoming artist. First let's get to the decals. When you receive the decals, it would come in a sealed package with one sheet inside. The florals and lace varies in sizes and shapes. As you can see above, its really hard to determine the white lace and floral shapes, as they were very clear. Each decal had to be cut individually, before placing them in water. As for the inspiration, the painting (which I forgot to photograph) had a really cool distressed stroking affect. A technique that has become popular, thanks to Chalkboard Nails. Although I did it a little differently, it's still the same technique. 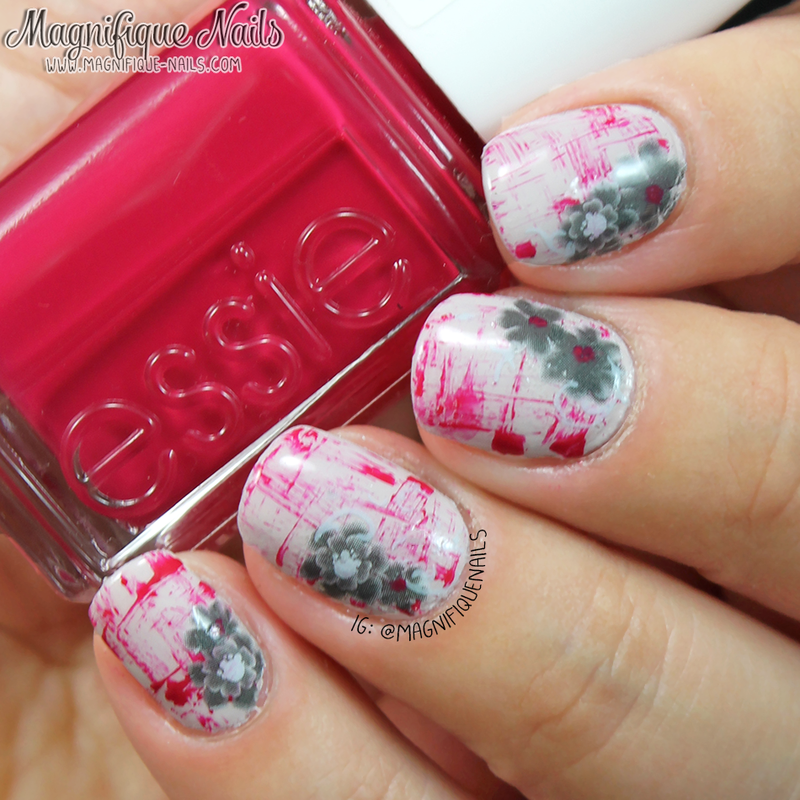 I began by applying two coats of Essie Urban Jungle as the base. Once the polish was completely dry, I created the distress technique with Essie Haute In the Heat. I applied uneven swipes of the polish vertical and horizontal. Once that was set, I began by cutting the decals I wanted, to place on the nails. I did have a few problems with them, as they are super thin. So I carefully applied two florals on each side of the nails, and maybe a few white filigrees (That's if you can see them). Even with some minor mishaps, the decals actually were perfect when place on the nails. It was easy to smooth to even out. I also added some dots on the florals, to make them pop. Lastly, I sealed the design with H K Girl Top Coat, that's it! Overall I really liked how these came out, its unique and artsy! The technique was really easy to do, and the decals were an added bonus. 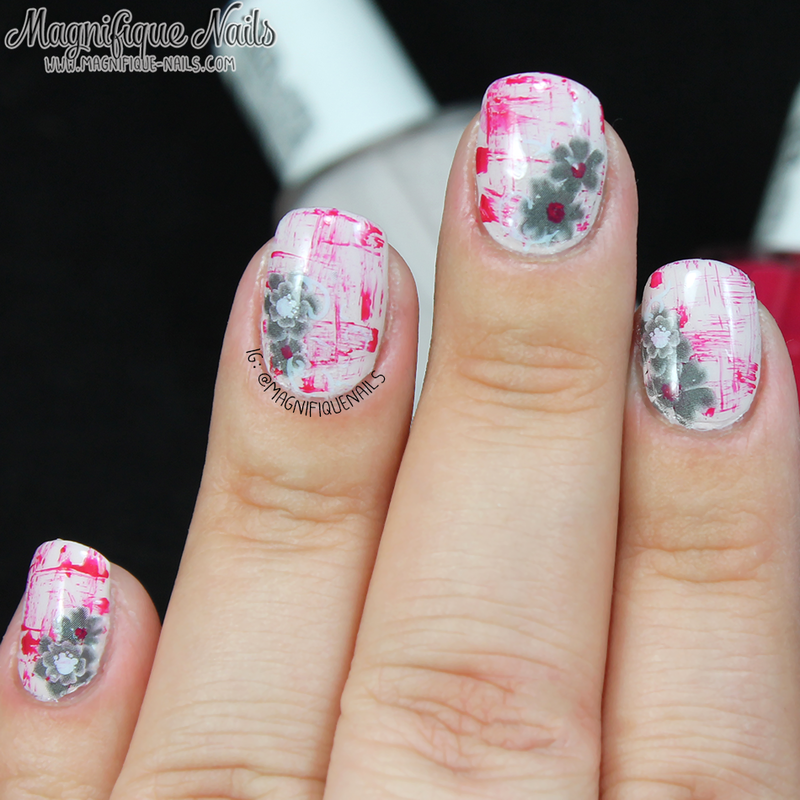 The lace and flower water decals is $2.86 each and are a great to use for unique style and 3D style. 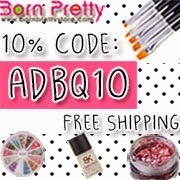 You can get 10% off your Born Pretty Store order with my coupon code: ADBQ10 and free shipping worldwide.